During the heightened moments of the Groupe Bernard Tapie negotiations to purchase Full Tilt Poker via the US Department of Justice, when the poker world was certain the French investors and owners of the ISPT were going to resurrect Full Tilt Poker and repay their players a number of revelations were made regarding the internal financial reports of the beleaguered online poker site. 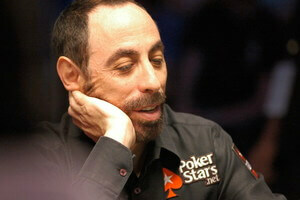 Among the reports that caused the most gossip were the player loans Full Tilt Poker had handed out to a number of big name professionals, including a nearly $400k loan to Team PokerStars Pro Barry Greenstein. I borrowed $400,000 to play on Full Tilt a few years ago, before PokerStars had high stakes games. I didn’t pay it back, hoping that some people who owed me and had money on Full Tilt would pay me there so I could use that against the debt. (I’m only owed about $150,000 now). I have assumed when this case is resolved, the DOJ will allow methods for dealing with debt to FTP. Tapie Group contacted me last week and asked if I would pay them directly. Their attorney offered me the opportunity to pay in installments so I could have a chance to use money owed to me. He even offered me the opportunity to discount my debt if the US players don’t get paid in full. I told him that I have never paid less than I owe on any debt and I would rather wait until the DOJ establishes a fund for the US players. I don’t believe my debt has any impact on the sale to the Tapie group as they have alleged. I was concerned about taking money due to US players and giving it to the Tapie Group because it is understood that the Tapie Group won’t be the one paying the US players. On the other hand, I realize that the total debt counting other players is substantial, especially because I would include in that tally any money taken from FTP once it had become insolvent. Other players listed as debtors to Full Tilt poker include Erick Lindgren, David Benyamine, and Mike Matusow, all of whom have fallen on harder times after Black Friday. It’s unclear at this time if PokerStars will press these players for the money they owe or if they will simply write it off.